When you are on a tight schedule to complete building construction in time, it’s not just investors breathing down your neck that are your only problem. You would also be afraid that the construction site may turn into a haven for hobos and drug peddlers. 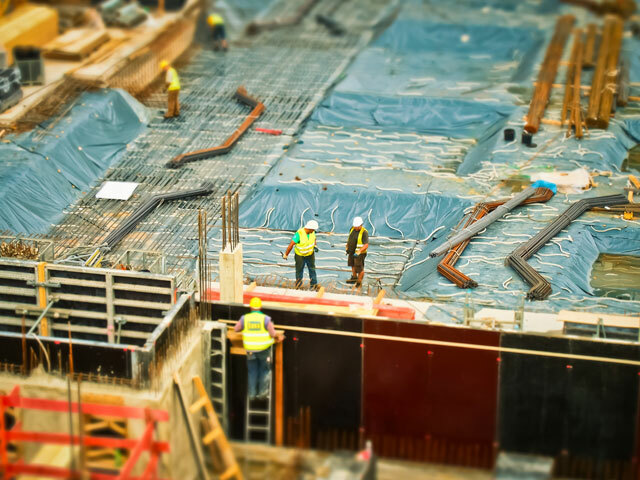 With the VigilEyes Construction Site Security Solution, you can not only protect your property from illegal activities, but also keep the investors informed about the exact developments. The whole perimeter is under the watch of cameras. A virtual perimeter is created from the combined feed. The system automatically actuates the alarm if it recognizes movement outside working hours. The system can differentiate human presence from other natural occurrences like stray dogs. It also identifies loitering in the compound and extended vehicle parking during non-working hours. Alerts are sent out in the event of tampering, power failure, fire and internet loss. Stream every bit of development of the construction on your website. Start from the very beginning and track developments on an hourly basis. Allow people (customers and investors) surfing the website to scroll through timeline to see the progress made. Automatically generates a graphical presentation for the expected completion based on the current schedule. Configure images according to hour, day or weeks depending on the phase of work and set preferred time of display (for example, only day images). User portal allows you to set timing to activate the perimeter protection to safeguard against unlawful intrusion. Helps detect any human presence in the construction time during nighttime. Go hand in hand with security personnel with notifications delivered to you mobile phone.